They are the silent heroes of the big city and without them Berlin would suffocate in trash; the workers who clean our city toilets, streets, chimneys and sewers. The new rbb-documentary series BERLIN CLEANS! DIRTY TIMES (5x 45 minutes) is an homage to the many people in these jobs, who normally work in silence or at night in order to keep the city clean. I took over all of the directing together with Florian Schewe for this wonderful project. I can promise, it will be entertaining, humorous, and sometimes very moving. 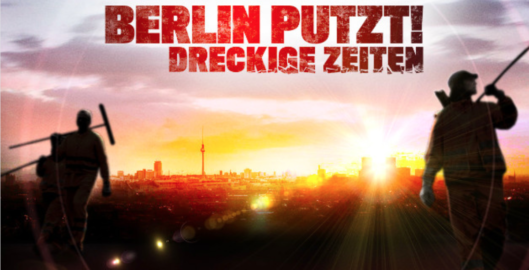 There will be lots of Berlin attitude and unglamorous life, starting February 12th at 21:00 broadcasted by rbb.